MILWAUKEE (November 15, 2017) – Johnson Controls introduces the latest version of its victor Video Management System and VideoEdge Network Video Recorders (NVRs) from American Dynamics, taking functionality, performance and system security to the next level. 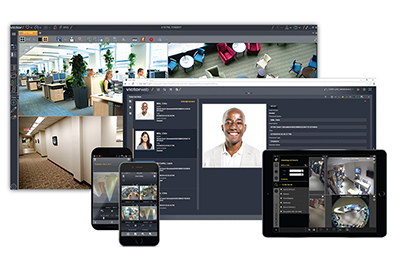 New end-to-end multicast functionality enables users to maintain visibility of their facility surveillance even during required VideoEdge NVR system updates, with the ability to view live cameras directly from a victor client during the usual downtime created by the system updates. With added support for H.264+, victor with VideoEdge can reduce storage space and improve transmission efficiency for more flexible and efficient operations. The upgrade to H.264+ allows the victor client to handle both variable sized video streams, such as those created by H.264+, H.264, Mpeg4 & Mpeg codecs. The new version also allows the addition of Illustra Pro cameras to any VideoEdge NVR appliance, hybrid or IP, without additional cost or connection licenses. This greatly simplifies deployment when pairing VideoEdge NVRs with Illustra Pro cameras. Learn more about the latest version of the victor VMS and VideoEdge NVRs at their respective pages.